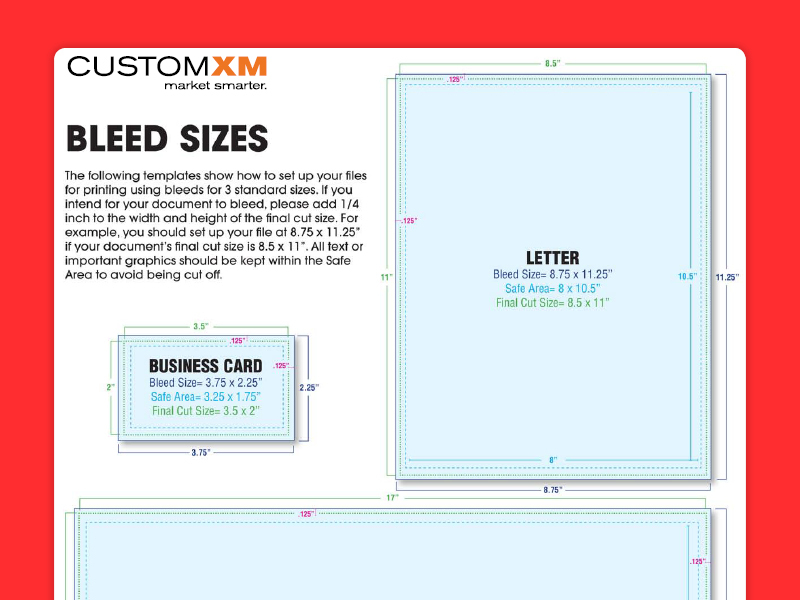 These templates will show you how to set up your files for printing using bleeds for three standard sizes. If you intend for your documents to bleed, please add 1/4 inch to width and height of the final cut size. Example: For an 8.5 x 11 document you wish to be full bleed, set up the file at 8.75 x 11.25, and do not put any important text or graphics in that extra space along the edges. Keep it within the safe area so it won’t be cut off!